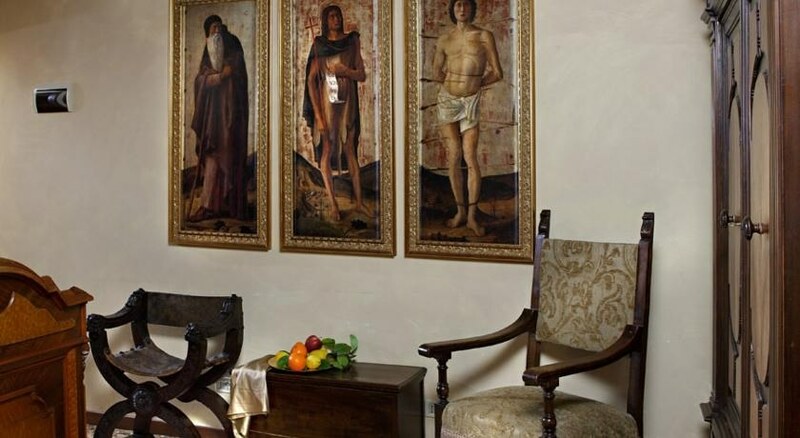 Palazzo Priuli is the age-old home of the Priuli, and now a luxury hotel, offering services and comforts in an authentic Venice, rich with history and art. 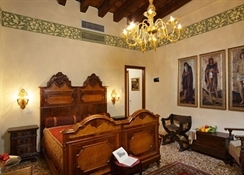 With its spacious and elegantly furnished rooms, picturesque canals that surround it, qualified and kind staff, Palazzo Priuli makes a stay in Venice unforgettable and extrememly pleasant. 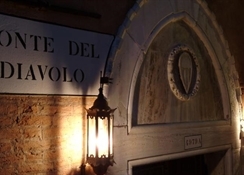 The hotel is only 200 metres from Piazza San Marco and 500 from the Rialto Bridge, in an area rich with masterpieces and characteristic corners of the city. The boat stop that takes visitors to all of Venice, is only 5 minutes away from the hotel and the airport of Venice is just 13 kilometres. 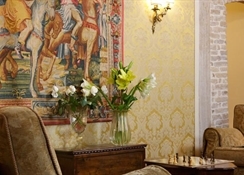 The hotel offers Breakfast Room, Internet point, tourist information, garage with fixed rates, soft drinks and snacks available to customers free of charge in the hall during the afternoon, free internet WiFi, 24 hour reception, living room, dining hall, a terrace with a spectacular view of Piazza San Marco's Belltower and reservation service for guided tours and excursions. 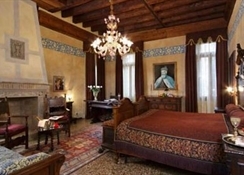 Every room in Hotel Palazzo Priuli is unique and different from the other. 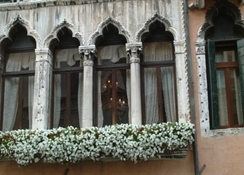 Neo Renaissance style for the furniture, delicate velvets and brocades for fabrics and accessories, Murano glass for the chandeliers, mirrored wall lamps: each room is a precious gem that recreates the atmosphere of Venice during the Doge period. All rooms have independent air conditioning and heating systems, satellite TV, minibar, safe, direct telephone and wi-fi connection.